Quiz: does anybody know the origin of this poster? I found it months ago somewhere and don't remember where & how. 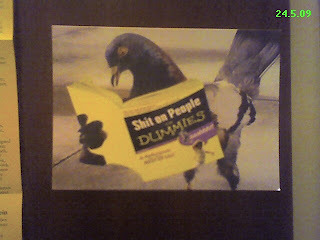 It makes fun out of the "xxxx for dummies" series of books and the fact that a dove is reading it.